The EU Parliament approved an EU wide ban of several single-use plastic items by 2021 and adopted strict recycling regulation over other plastics such as beverage bottles, food containers at rates of up to 90% by 2025. This ban is a significant contribution tackling plastic pollution in the environment. Single-use items included in the ban such as cutlery, straws or cotton buds make up over 70% of marine litter. The intention behind banning the items is “…to protect the marine environment and reduce the costs of environmental damage attributed to plastic pollution in Europe, estimated at 22 billion euros by 2030.” says Frédérique Ries (MEP ALDE, Belgium). The single use plastic items covered by this regulation were selected since there are sustainable alternative readily available. However, this ban could have implications on how public procurement is handling catering and event management as these often rely heavily on reusable cutlery. Procurement will need to consider alternatives such as reusable cutlery and dishes, which come with a different set of service requirements. 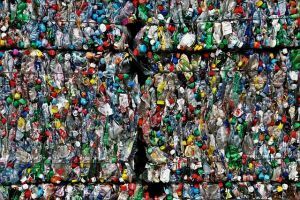 As part of the ICLEI project InnProBio the Swedish region Skane has set a cutting-edge example for how public procurement can tackle the issue of plastic pollution. Through innovation procurement the region has managed to introduce a new product in all regional hospitals: Their disposable aprons are now made from a newly developed biobased material that meets high performance and sustainability criteria. Learn more about the procurement procedure, results and lessons learned, here. For more information on the EU single use plastic ban go here.